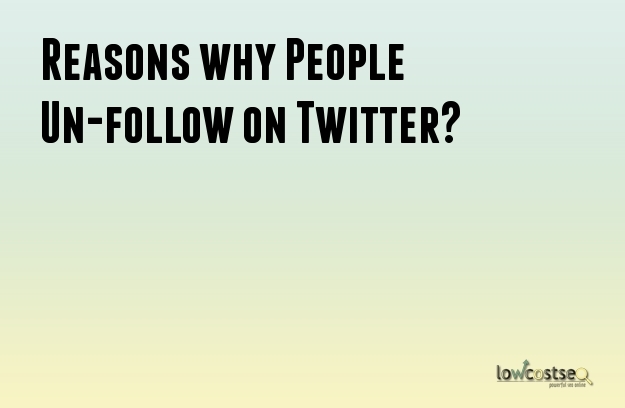 Wondering why your Twitter follower count is going down? Well, put the blame on your business marketing strategy and personality. Social media marketing is an ongoing trend right now. Well, that’s because market executives find it as the potential medium to faster traffic growth and better customer engagement. Twitter is one of the most demanding social platforms online where everyone is posting something every second. So if you are not catching up with your posts faster, then people are sure to abandon your social account. According to the observations related to customer behavior on social media platforms, a business should be posting an average of at least one post every day on Twitter. If one has a dedicated audience base, then consider posting a few more times each day. Yes, even the reverse can happen for worse. While it’s good to post frequently to keep audiences on their hoofs, you could end annoying your followers with too many post updates. Therefore, try maintaining a steady pace between each of your Twitter updates. Twitter is not like Facebook. When people reach out to you on Twitter, it is because they have read your posts and want to interact with you to learn more about it. Now, not responding to their message is pretty unsocial and even resentful that will cause them to leave you. Your business strategies might be right and you are frequent in responding to your customer queries. So what then is making people leave? Probably because your social updates bore them. Therefore, make sure that your posts are attentive, engaging, valuable and informative to your followers on a regular basis. Do not go about targeting the general audience. Focus your attention on the specific target group rather. Advertisements and sales are effective tools of lead generation. However, don’t go about posting them every time. Twitter is more than just promotions. Therefore put other engagement strategies to use along with your direct marketing promotions. Did you find where you are going wrong? Now fix them first so that you do not lose any more of your followers. It is alarming!